Crystal Palace striker Christian Benteke underwent a surgery on a long-standing knee injury. The Belgium star has been out of play since the begining of September and is set for an extended lay-off after Crystal Palace confirmed on Tuesday he has had minor arthroscopic explorative surgery. 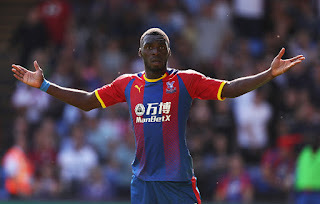 According to Crystal Palace official website, Benteke will be returning to training "very soon", the club indicated it would be a few weeks until their next update on the 27-year-old's fitness. Benteke scored only three Premier League goals last term, with his loss of form costing the striker a place in Belgium's squad for the World Cup, where Roberto Martinez's men reached the semi-finals.